The Spin-Clean Record Washer.com Contest is still taking entries, if you haven't entered, do it today! We have two prizes to give away, Spin Clean's patented record washer and the Spin-Clean® Record Rack. I will take the 33rd and 45th email as the winners in the "Spin-Clean Record Washer.com Contest." You can enter by email to this email address (rbenson30@wi.rr.com) with the words "Spin-Clean Record Washer.com Contest" in the subject line. 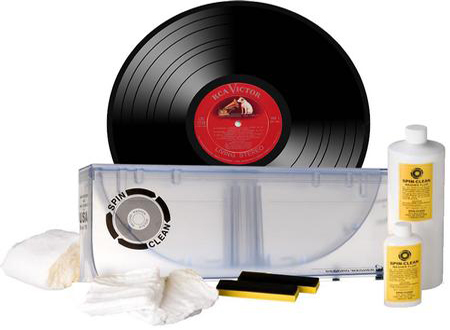 Be the 33rd email and you win the Spin-Clean® Record Washer MKII Package - LIMITED EDITION "Clear Unit" and if you are the 45th email you would win the Spin-Clean® Record Rack. Limit ONE entry per email address. Contest will run from Feb. 2 until noon on Feb. 15th. This limited-production Spin-Clean® MKII Package offers an innovative see-through basin, only available as part of the Spin-Clean® MKII Package - and only while supplies last. Beautifully handcrafted, handsome, and sturdy, each rack is constructed from furniture grade hard wood and available in three different finishes (see accompanying images): Natural Oak, Medium Oak and Dark Oak. Just like the Spin-Clean® Record Washer System MKII, the Spin-Clean® Record Rack is exquisitely designed and manufactured by hand in Pittsburgh Pennsylvania. 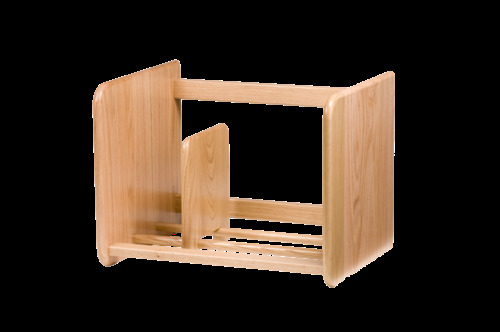 The racks are stackable up to four units high, and each rack can store up to 100 of your precious vinyl records.